Terrorist Hamza Matrouk learned his craft from the Internet, he told interrogators after stabbing a dozen people. 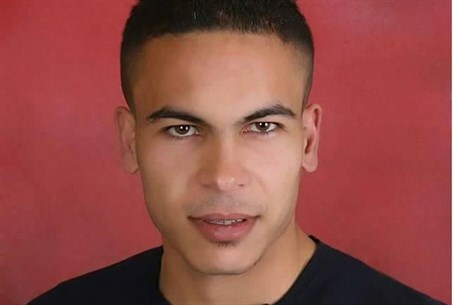 Hamza Matrouk, the terrorist who stabbed passengers on a Tel Aviv bus Wednesday morning, learned his craft from the Internet, he told interrogators. Matrouk, who was shot in the leg and arrested as he tried to escape after stabbing and injuring a dozen people on a Dan company bus in Tel Aviv early Wednesday, was apparently a big consumer of online videos relating to Islamic theology, anti-Israel and anti-Semitic philosophy – and training videos on attacking Jews. There are many such training videos circulating on the Internet. In one, translated by Palestinian Media Watch, a video focusing on Hamas founder Ahmad Yassin and portrays young children as continuing the slain Islamist sheikh’s legacy. Children are portrayed wearing uniforms, holding rifles and participating in military training. The children are shown marching and carrying out mock attacks on their “enemies,” and are exhorted to “carry the knife” and “carry machine guns” to attack Israel. Other videos show the specific techniques needed to slash someone's throat or stab them in the side, what spot to aim for in order to kill someone, etc. Among other things, Matrouk said, he also watched many videos portraying the IDF's responses to Hamas terror rockets fired at Israel during Operation Protective Edge, as well as the events on the Temple Mount, as Israeli police try to stop riots and rock throwing by Arab rioters. It was these videos, he said, that prompted him to sneak out of Tulkarem and go on his stabbing spree. Twelve people were wounded in the stabbing attack, with 17 receiving treatment from Magen David Adom (MDA). The wounded were taken to Ichilov and Tel Hashomer hospitals. An eyewitness told IDF Radio that two of the wounded were very seriously hurt, having been stabbed "in the brain (and) in the neck." According to police, a team from the Israel Prisons Service's elite Nachshon unit happened to be driving behind the bus when the attack took place. The officers got off the car and gave chase to the terrorist, shot him in the leg and arrested him.